Wednesday Worksheet: Where Are You Now? Well, that whole book giveaway thing didn’t flip anyone’s skirt, so I’m going to try a different tactic on Wednesdays. 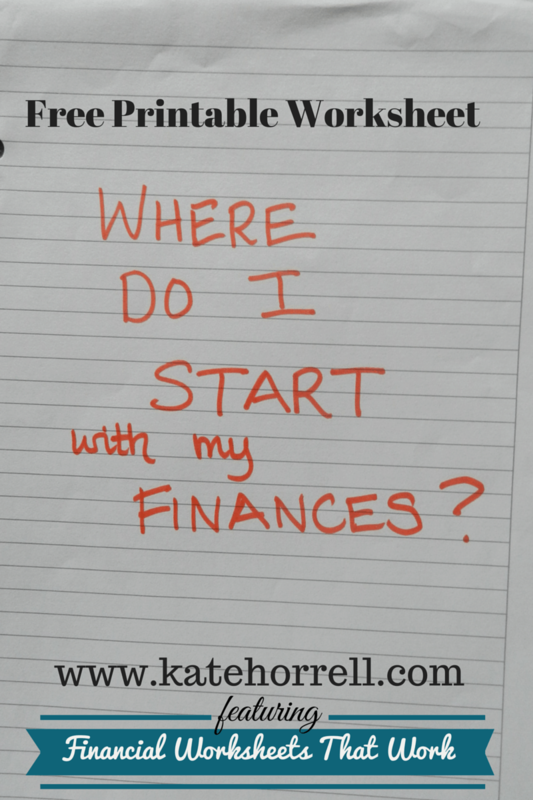 Using all those books I’ve got on my bookshelves, I’m going to create some easy worksheets that you can use to organized and improve your financial situation. You can read the post and just get the general idea, but I recommend that you download the actual worksheet and keep it in a folder or binder with your other financial records. Add each worksheet as it is introduced, and you’ll have a full-on financial plan by the time the series is done. This first one is meant to be done periodically, maybe once a year or so. It is designed to remind you of all the different aspects of your finances that require attention, and identify the topics that might be neglected. Click here to download the worksheet in Microsoft Office: Worksheet: Where Are You Now? The link to the printable worksheet is in the headline above. The text is listed below. Please answer the following questions True or False. If you are part of a couple, please have each person answer these questions separately and discuss the answers. This is supposed to be hard, because it is designed to find the places where you can improve. Don’t be discouraged by the questions that you answer False. These are opportunities for improvement! I understand my/our monthly income, including being able to read a Leave and Earnings Statement (LES) and understand all pay, allowances, deductions, and allotments. I know my/our monthly savings rate. I have an emergency fund with enough money to cover any reasonable unexpected expenses in the next 12 months. I have calculated this amount thoughtfully. I know how much I/we are contributing to retirement accounts each month, and the type of accounts to which we are contributing. I know the yearly contribution limits for each account, and I know how much employer match is offered for each account. I know my/our fixed monthly expenses for housing, including taxes, insurance, and utilities. At the end of the pay period, I feel comfortable that I know where my money has been spent. I know my/our home’s current value, mortgage balance, mortgage interest rate, term of mortgage. I know how much rent I/we pay and when it is due, when my lease expires, my lease renewal terms, and how much security deposit is held by the landlord. I have an accurate, up-to-date will. I have accurate, up-to-date Powers of Attorney for important issues, both financial and personal. I have reviewed my/our life insurance needs in the last 12 months, including having the right amount of coverage at a good price. I know my/our current Social Security benefits for retirement and for survivors. I know the balance of all my/our retirement accounts, including all 401(k)s, 403(b)s, IRAs, and company pension plans. I know where to find the account numbers, plan administrator details, and other important information. I understand the fees charged on these accounts, and the actual rate of return for each. I know the balance on any other types of investment accounts, and I understand the fees and the actual rate of return for each. I have disability coverage, and I understand how much it would pay, in what situations it would pay, when it would start paying (delay period), and whether those benefits are taxable. Otherwise, I know why I/we don’t have disability insurance. I know what benefits would be provided by my/my partner’s employer in the event of disability or death, including non-cash benefits. I have an idea how long my car(s) will last, and I/we have a plan to pay for the next one. We will talk about these issues individually over the next few months, but this will give you a good understanding of where you are doing well and where you can improve. I am surprised at how many questions I answered False – I love this stuff and I think that I have things very under control.